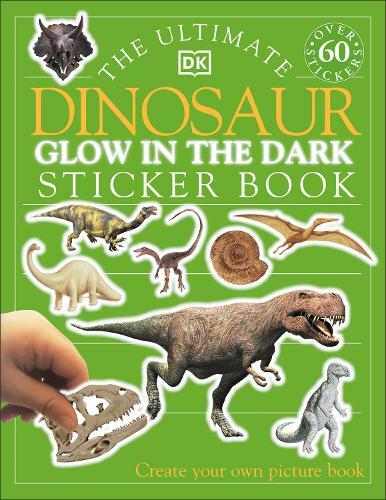 This sticker activity book with glow in the dark stickers is great for children obsessed with dinosaurs. With over 60 reusable stickers, children can have fun matching dinosaurs to their description or creating their own scenes of prehistoric earth. Packed with fun facts and interesting information, children can expand their knowledge and get creative with this dinosaur activity book. Children can discover all about the lives of different types of dinosaur. What did Suchomimus eat? How long was a Tyrannosaurus rex? Which dinosaur's name means five-horned face? Find out the answers to these questions and more. With stickers that glow, children can create a display that looks good day or night. The Ultimate Dinosaur Glow in the Dark Sticker Book is a perfect book for children aged 5 to 7 who want to learn more about these ancient reptiles.